Vitamin B-12 injections can help you lose weight and feel better! Why get a B12 injection? Vitamin B12 can be normally obtained by consuming red meats, however in excess, red meats can cause further health complications such as high cholesterol and other heart diseases. On the other hand, people, especially vegans and vegetarians, do not consume a sufficient amount of vitamin B12. This can cause low energy, anemia, mood changes, and even trouble concentrating and remembering things. By receiving a B12 injection, not only will it help facilitate weight loss goals, correcting the deficiency can help you immediately feel healthier and more energetic, prevent memory loss, strengthen the immune system, slow down aging, increase concentration, prevent heart disease, and strengthen bones. 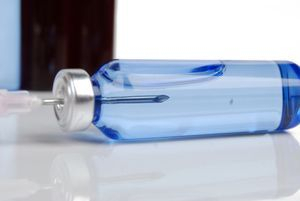 What is a Vitamin B12 injection? A Vitamin B12 Injection contains Vitamin B12, and is used to facilitate weight loss and boost energy. Vitamin B12 is required for the proper function and development of the brain, nerves, blood cells, and many other parts of the body and is important for growth, cell reproduction, blood formation, and protein and tissue synthesis. B12 aids in the use of food for energy and the breakdown of fat. · If you are receiving any medication or treatment that affects bone marrow. · Signs of low potassium--confusion, uneven heart rate, extreme thirst, increased urination, leg discomfort, muscle weakness or limp feeling.